Published in the summer of 2010 in print and online, the 10-volume Encyclopedia of World Dress and Fashion is the first comprehensive reference work to explore all aspects of dress and fashion globally - from pre-history to the present day. Arranged geographically and written by an international team of experts, the Encyclopedia will serve as the go-to source for all issues relating the art and anthropology of costume, dress, and fashion the world over for students, scholars, members of the design and fashion industries, and fashion aficionados for years to come. The Encyclopedia of World Dress and Fashion brings together for the first time the work of over 600 renowned scholars from every part of the globe. All articles have been specially commissioned and particular effort has been made to commission articles by indigenous scholars with in-depth local knowledge. East Asia covers an area that is home to a quarter of the world's population. This volume provides a comprehensive overview of the region, followed by separate sections on China, Korea, and Japan. The section on China covers the Han people, China's ethnic majority, as well as most of China's fifty-five minority groups. Festive dress, China's reputation for distinctive hairstyling, and a wide range of adornments linked to ancient beliefs and traditions are all covered. Overviews of Tibet, Mongolia, and Taiwan are included as well. Traditional and modern aspects of Korean dress are explored in depth, and the importance of the textile and garment industries is highlighted. Street and youth fashion, the history of the kimono, dress and masks for Noh and Kabuki performances, and the work of textile artists who are masters of traditioanl craft are all covered in the section on Japan. Historical backgrounds and accounts of ancient archaeological evidence are also provided. 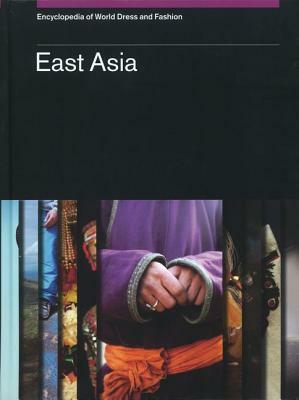 Accompanied by photgraphs supplying stunning pictorial evidence, East Asia offers a compelling overview of a land where age-old tradition coexists with bustling, technologcially advanced modern states. Author Name: Vollmer, John E.